We get our prices directly from Westshore Landing. Westshore Landing Apartments offers 1, 2, and 3 Bedroom Apartments in Auburn, AL with a host of desirable features including large fully equipped kitchens, washer and dryer connections and extra closets. All beautifully situated amongst mature shade trees and manicured lawns. Welcome additions in any home, you will appreciate our spacious kitchens and extra closet space. 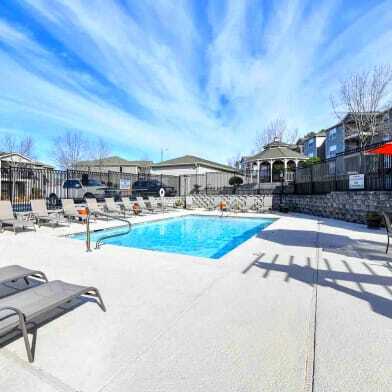 Westshore Landing Apartments is where you can come home to relax in the comforts of a quiet secluded community with desirable amenities after the excitement of a bustling metropolitan area located just minutes away. We are conveniently located minutes from Auburn University and steps away from the Tiger Transit. Parking Details: Open lot. Other, unassigned. Please call for parking information. Have a question for Westshore Landing? "1 Bedroom 1 Bath 630sf"
"2 Bedroom 2 Bath 870sf"
"2 Bedroom 2 Bath 925sf"
"1 Bedroom 1 Bath 660sf"